Reports that Felix ‘PewDiePie’ Kjellberg was poised to lose his crown as YouTube’s most-subscribed creator has clearly spurred his fans into action — as well as inspired grassroots campaigns from North Carolina (courtesy of fellow creator MrBeast) all the way to Bangladesh. As a result, Kjellberg has been able to stave off what at once seemed inevitable, and continues to set new records on a platform where he has long reigned supreme. On Nov. 2, Kjellberg became the first creator on YouTube to surpass 69 million subscribers. And now, a little over a week later, Kjellberg tweeted on Nov. 10 that he had become the first channel to hit 70 million subscribers. “One hundred million next,” he wrote, setting the next benchmark for fans. “This is crazy.” At the time of posting, Kjellberg has 70.2 million subscribers, while T-Series is still nipping at his heels with 69.8 million. Analytics firm Social Blade initially predicted that Kjellberg would be overtaken by T-Series on Oct. 24. And to illustrate just how off the firm’s initial predictions were — likely due to Kjellberg’s comparatively paltry growth rates at the time, which have since been supercharged — Social Blade surmised back in August that Kjellberg would reach the 71 million subscriber mark in six months. Now, it’s obviously bound to happen much, much sooner. Currently, Social Blade predicts that T-Series will overtake Kjellberg on or around Nov. 30. Though, of course, it remains to be seen what tricks Kjellberg and supporters have up their sleeves. 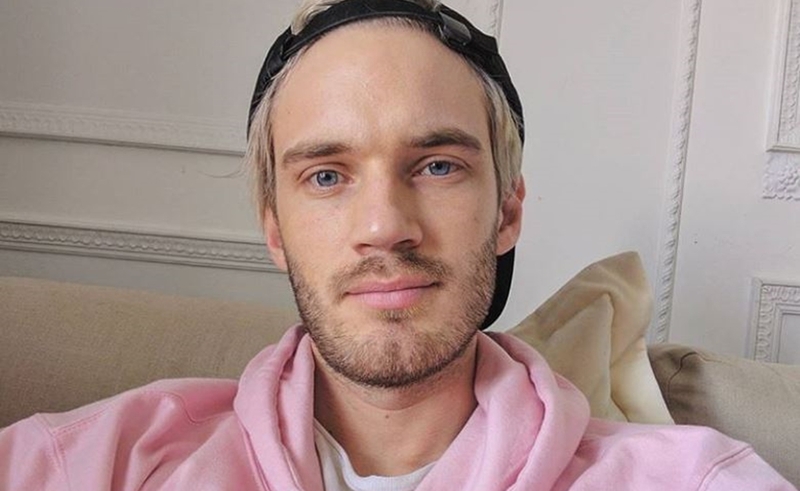 Many creators and fans have backed Kjellberg in his fight against T-Series, perceiving the race as a contest between an independent creator and a media machine — given that T-Series is a full-fledged production company uploading multiple Indian music videos and film trailers daily. At the same time, T-Series’ success also serves an irrefutable sign of YouTube’s rise in India. The country’s huge — though still relatively untapped — audience currently numbers 225 million viewers per month.